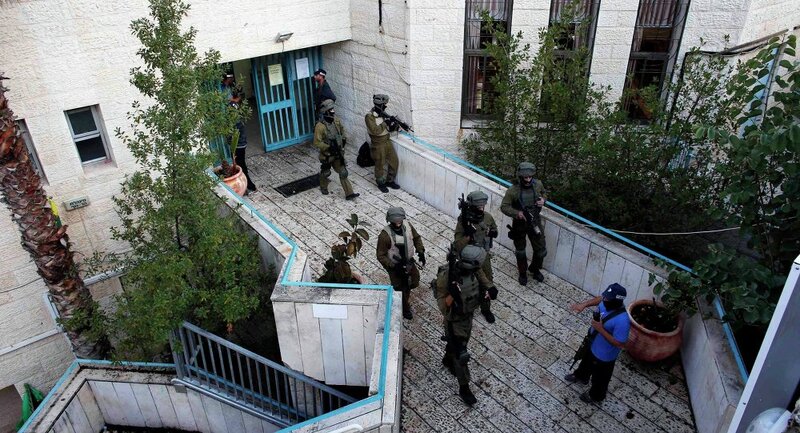 The Popular Front for the Liberation of Palestine (PFLP), a far left militant group, has stated the attack on a synagogue in West Jerusalem was carried out by two of its members. MOSCOW, November 18 (Sputnik) — The Popular Front for the Liberation of Palestine (PFLP), a far left militant group, has claimed responsibility for the deadly attack on a synagogue in West Jerusalem calling it a “heroic operation”, Reuters reports. Abu Ali Mustafa Brigades, PFLP’s military wing, has stated the attack was carried out by two of its members, according to the International Business Times UK. It is still unclear whether they had been instructed to carry out the attack, or acted of their own accord. Two men armed with knives and guns stormed the synagogue, located in the ultra-Orthodox Har Nof neighborhood of West Jerusalem shortly after dawn, according to the Associated Press. The attackers, believed to be Palestinians from East Jerusalem, were killed after a shootout with law enforcement officers, according to officials. “I tried to escape. The man with the knife approached me. There was a chair and table between us … my prayer shawl got caught. I left it there and escaped," said Yossi, a worshipper at the synagogue, as quoted by the AP. “I looked up and saw someone shooting people at point-blank range. Then someone came in with what looked like a butcher’s knife and he went wild,” Yosef Posternak, who witness the incident, told Israel Radio, as quoted by Reuters. The Israeli police have identified the deceased as Moshe Twersky, Aryeh Kopinsky and Calman Levine, all dual US-Israeli nationals, according to Reuters. The fourth victim has been said to be Avraham Shmuel Goldberg, a British-Israeli citizen. Israeli Prime Minister Benjamin Netanyahu vowed to “respond with a heavy hand to the brutal murder of Jews who came to pray and were killed by lowly murderers,” as quoted by Reuters. He blamed Hamas and Palestinian president Mahmoud Abbas for the assault. The Palestinian president has condemned the act. The synagogue attack is the worst in Jerusalem since 2008, when eight people were killed at a religious seminary school, according to Reuters. It comes at a time of mounting tensions in the city, with the access to the Temple Mount, a holy site for Muslims and Jews alike, being the main point of contention. On November 5, Israeli police had shot dead a man who earlier drove his car into a crowd of pedestrians in Jerusalem, killing one person and injuring 13 others. A similar incident took place in Jerusalem in October, when a three-month-old infant and an Ecuadorian student were killed when a resident from one of the city’s Arab neighborhoods crashed into a tram stop. The driver was also shot dead by a police officer as he tried to flee the scene.